I will testify to this truth!!! As I have been following John as he pulls me around on the bicycle, I have realized how much I love him and he loves me. I could not do what I do all by myself. It’s him and me as a team that keeps us going!!! The adventures that we get into are so much more fun with him and I really don’t want to do any of them without him. RAGBRAI shows no indication of being pampered. 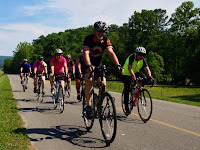 As I was following him on the Hartwell ride I realized how much I really wanted to be with him and for love I could climb this mountain, so I told him that I would do the RAGRAI with him. This is a 330 mile bike ride across Iowa at the end of July. The weather last year was temperatures of 100 and a few terrible rainstorms. What am I thinking? Well, when I offered I secretly prayed there wouldn’t be any openings. John contacted the ride people and all spots were taken but they gave him a website he could post to get a ticket. Well, he posted and within less than 24 hours a lady contacted him who could not go. She is from Texas and had just started a new job and her boss told her she could not take that time off. So a win-win, sort of! 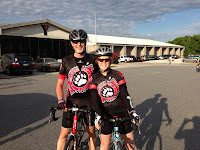 We have gotten the ticket and I am signed up to be part of the Burlington Bike Club. 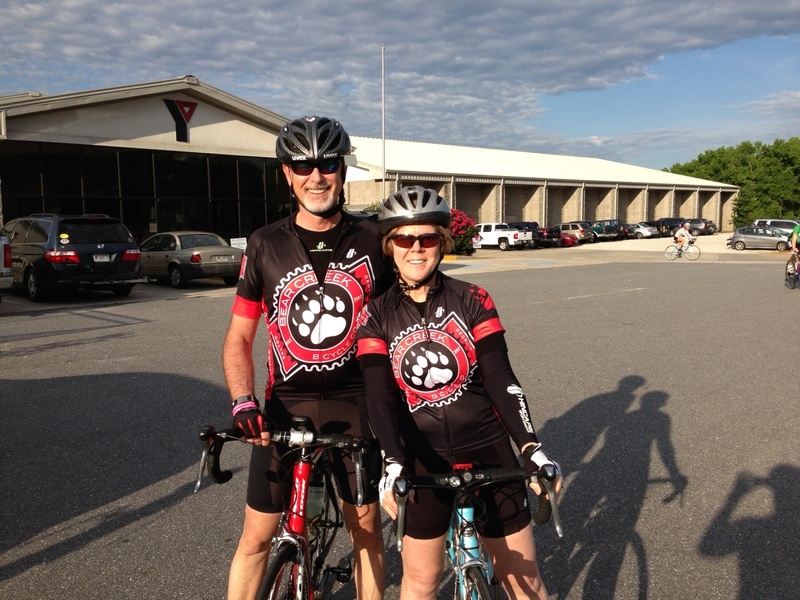 This year the ride will go through southern Iowa. Hopefully the weather won’t be quite as horrendous. 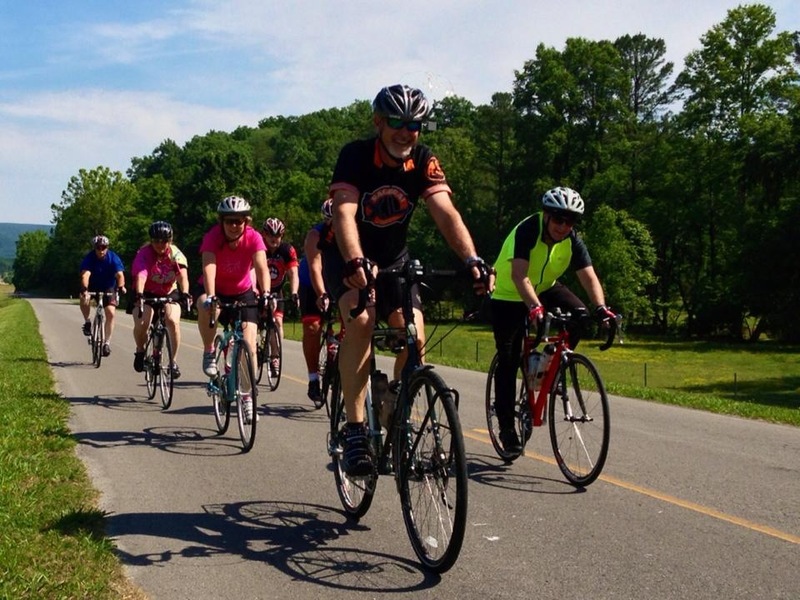 The road is less hilly and the daily rides are shorter. I think I can do this. 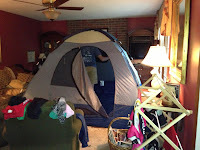 Please note the tent he’s set up in our living room!! Yes, he’s excited that we are both going. He had a one man tent last year and it’s a family tent this year. He keeps telling me that the food is fantastic and it’s a party the whole way across. We will see. But here we go on another adventure!!! Pray for me!! What are you doing in love that you would not do normally? We all have them. These are the things that make a marriage more meaningful and last a lifetime. Enjoy the challenges along the way.